Many people enjoy sharing their Max creations with others in the form of a standalone application. To reach a broader audience, we would like to be able to submit standalone applications to Apple’s Mac App Store. Regular Cycling ’74 forum readers will likely recognize a long running thread called “Max apps in new Apple Mac App Store?” that was started in 2010 and still receives new postings. That thread documents our efforts, together with Cycling ‘74, to navigate Apple’s various guidelines and restrictions in order to get Max standalones into the Mac App Store. Between that thread and a recent story that appeared on Create Digital Music, we’ve received lots of requests for more information on the process. This article will attempt to fill in the details so other Max creators can get in on the App Store action! First off, you must use Max 6 to create a standalone that will satisfy Apple’s requirements, primarily because in Max 6, app-specific preference files are saved in a location permitted by Apple. It’s also probably a good idea to make sure that your standalone has some of the basics down (custom icon, appropriate menus, etc...) before embarking on the steps below. Dan covered many of these topics in his 2011 Expo ‘74 presentation entitled “Making A Slick Max Standalone." The slides for the presentation are available here. Include a standalone object in your patch. Open the inspector for the standalone object, and change the “Preferences File Name” attribute to the same name as your application. For example, if your application will be called My Cool App, the Preferences File Name must also be My Cool App. This will create a folder the first time your app is launched at ~/Library/Application Support/My Cool App, and all Max’s will subsequently be stored within that folder. You can also use this folder if your app needs to store any other files (such as a custom preferences file). If you are using any third party Max externals, they may contain PowerPC (PPC) code. which is not allowed in the App Store. If you want to verify whether you have any third-party externals containing PowerPC code, you can use the following command in the Terminal that will list any problematic objects. Before executing the command, set the current directory to a folder containing your third-party externals. To get rid of the PowerPC code, you can use an application called TrimTheFat; just drop the .mxo external in question onto the TrimTheFat icon, and it will strip away the PowerPC part of the binaries. You’ll need to do this before building your application, because a Max standalone stores external object executable code in a proprietary format that can’t easily be modified. However, you need only remove PowerPC code once. By the way, if you are using other people’s work, check to make sure the license terms are compatible with the App Store’s, and that you are allowed to use it in a closed source product (if that is your intention). The next few changes involve tweaks within your application’s bundle folder. You’ll need to make these changes after building your standalone. 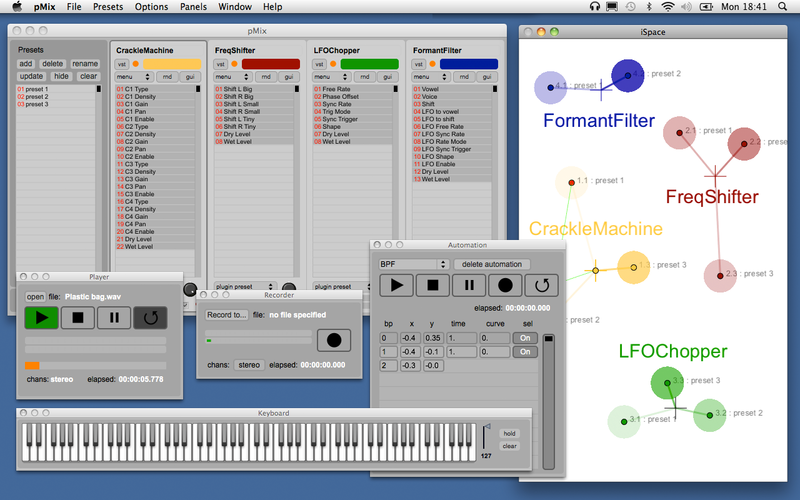 To access the bundle, ctrl- or right-click on your application’s icon in the Finder, and choose Show Package Contents. This will open a new window that shows you the set of files inside the application bundle, which is actually a folder. All the items in an application bundle are inside a folder called Contents. Apple apparently doesn’t like underscore (_) characters to be part of any bundle identifier. Within the support folder inside the Contents folder, open the ad folder where you’ll find the Core Audio driver object called ad_coreaudio.mxo. Ctrl- or right-click on the .mxo file and choose Show Package Contents. Double-click on the Info.plist file, at Contents/Info.plist and change the Bundle Identifier from com.cycling74.ad_coreaudio to com.cycling74.adcoreaudio. You also have to add some specific entries within your app’s Info.plist file located in the Contents folder. These include a valid bundle ID, bundle version, copyright string, and application category (LSApplicationCategoryType). More information is available in the Mac App Store Developer document, in the “Requirements” section. You may wish to copy the Info.plist file to another location once you modify it, then you can replace the standard one Max puts into your standalone if you ever want to make an updated version of your application and submit it to Apple. Once you’ve got your app completely ready to go, you need to “sign” and package it using certificates that Apple issues to you. More information on how to get those certificates on your computer is available on the Apple Developer site. Now all that’s left is application screenshots and other details which you’ll need to provide on Apple’s iTunesConnect site, and uploading the .pkg file you created in the last step using the Application Loader utility, which should be provided within Apple’s Developer tools on your hard drive. We hope this covers most of the unique aspects of getting a Max application distributed via Apple's Mac App Store – we look forward to seeing more Max creations available there! 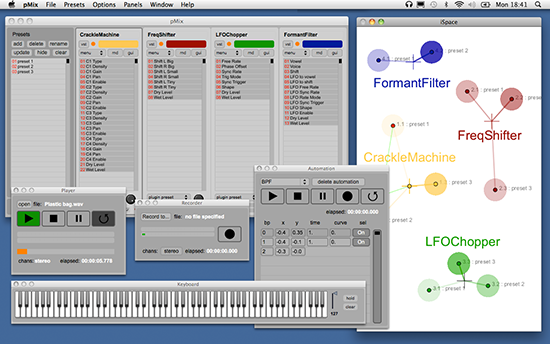 Oli Larkin: pMix - A sound design, composition and performance tool that allows you to morph between VST plugin presets using an intuitive graphical interface. Dan Nigrin: Audio Plugin Player - A lightweight VST and AU instrument plugin host, that allows you to play these instruments using either your mouse, computer keyboard, or MIDI device, with support for VST and AU effects too. 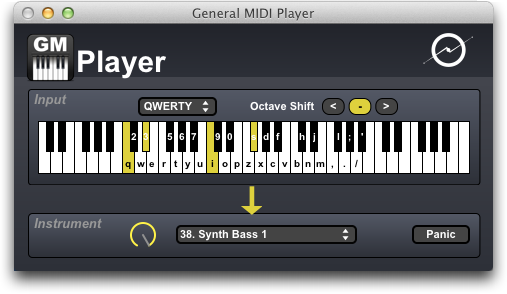 Dan Nigrin: General MIDI Player - An easy way to turn your Mac into an instrument, using its built-in General MIDI support, with options for mouse, computer keyboard, or MIDI input. 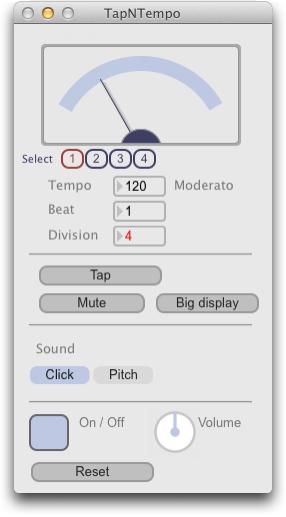 James Howard Young: TapNTempo - A fully featured metronome that offers customizable sounds, real-time tempo tapping, and beat and division capabilities. Commendable work guys, highly informative. Thanks for the info, it's a great help! Will this also work for max5 or is this max6 only? You *must* use Max 6. I don't think you will ever have success in getting approved with an app compiled with an earlier version of Max, as any standalone created by those earlier versions automatically place preference files in a location that Apple does not allow. Wow, so you can make like..ipad-apps? Just made my entrance to the App Store myself! It's a small utility called MATRIK Check it out. Great to have all these info compiled in one article. Question: is using Max For Live UI objects ok for Mac App Store standalones? Yup, they are fine. For example, look at my Audio Plugin Player app - the volume knob is a live.dial object. Hi, just wondering how far have you gotten with sandboxing your apps. I'm about to start some testings on my app and would really like to hear about your experience (I'll post my results on the forums when done). I haven't made the jump to Max 6 yet, so sorry if this is obvious... but how would you save your own custom preferences file to the ~/Library/Application Support/My Cool App folder? This article states "You can also use this folder if your app needs to store any other files (such as a custom preferences file)," but I don't see other info about how to do that. File path management has always been a bit sticky in Max, so I'm wondering if this has been cleaned up with the new restrictions on file locations in Lion OS X.
Hi Leigh - this is one of the few places where I use a 3rd party external - in this case, Jasch's wonderful getpaths (Mac) and getenv (Windows) externals. http://www.jasch.ch/dl/ Hope this helps a bit. Thanks, Dan! I've tried to roll my own version of something like that before just for Mac, glad to see someone else has gotten it working cross-platform. just to say, Max-built apps are not currently viable on the app store due to the sand-boxing stuff. C74 are aware of it. what is it about sand-box? Do we work on conforming to it? It is in Cycling's hands. The problem is that upon app initialization (*any* Max app), calls get made to "inappropriate" places, that trigger sandbox violations. Does anyone know if the 6.0.7 update fixes the problems now? Hi Dan, I would be interested in developing an app. What is the current state of the affairs? Can you ask Cycling to look into what is needed? What is needed, actually? I want to ask you about your app General Midi player. Would it replace a keyboard which is needed to work with Cubase? I do ot know, if you are familiar with cubase, but in order to get the system working one has to connect a midi keyboard. Hi Hans - to my knowledge, standalones built with Max will not pass Apple's new sandbox restrictions, for placement in the Mac App Store. The problem is that standalones currently place temp files in places that are not "allowed" by Apple, and there is no way to keep it from doing so at the moment. Cycling is aware of the problem, but I can't comment on if/when they plan to address it. Re: General MIDI Player, I don't think it will do what you want. It can *receive* MIDI signals, but is not meant to transmit those signals to another app. If you have more questions - feel free to ask on my web forum (this is probably not the right place!). http://defectiverecords.com/forum . Could it be there's something more than just the place where the temp files are stored? It seems that it has not been fixed in the 6.0.8 either. Perspnally, I think it's a great opportunity for the community to be able to share their creations in the app store and it's hard for me to see why it has such a low priority in the c74 fix list. After over a month of codesigning and endless trial and error, numerous rejections, I can now confirm that max built apps can currently go through. * if you're recording to disk (sfrecord), then in the .plist file leave a third document type for .aiff as well. otherwise, if you delete it, your app will record a unreadable file. * if you get something like "object file format unrecognized, invalid, or unsuitable)" when you try to codesign use this before you start: export CODESIGN_ALLOCATE="/Applications/Xcode.app/Contents/Developer/usr/bin/codesign_allocate"
*there's lot of trial and error, and it seems there's a human element involved in the review process... so, just resubmit until you get approved, I guess. About to try and get something on the Mac store, an updated article would be fantastic to take into account all of the changes detailed. Whats the story getting things into the Windows app store? No experience on the Windows side - that said, I'm not even sure I know what the Windows app store is? Any pointers? Just a quick note here to point out that Cycling was kind enough to fix some errors that slipped in when this article was originally posted - there were extra set of quote marks in the various codesign statements in the Modifying Your Standalone section. Thanks also to Thomas Sandberg for spotting the errors! OK cool, keep us posted on how things go at the App Store! I started a thread to keep track of all the Max apps for sale on the Mac App Store - if you get your app on there, please add to the list! I encountered a problem on submit to the Mac App Store. Deprecated API Usage - Apple no longer accepts submissions of apps that use QuickTime APIs. My App uses jit.qt.movie. What can I do for this problem ? There's discussion of this problem towards the bottom of this thread. 1. Starting in OS 10.9, the codesign command now has a "--deep" option available. This will automatically handle signing all those "Max frameworks, audio drivers, midi drivers and/or extensions" included inside your app bundle. This cuts out a good chunk of work in tracking all those includes, and having to run a separate command for each. 2. To make Gatekeeper happy, you must now sign with OS 10.9 or later! This really tripped me up for a while (my primary system is still 10.8), since it was telling me that my codesigning had worked just fine, yet I was getting blocked by Gatekeeper. When I first tried the codesigning on a 10.8 system, that line read as "Sealed Resources rules=4 files=2". Checking it on a 10.9 system, that line read as "Sealed Resources version=1 rules=4 files=2". Wow, big Thanks to LEIGH MARBLE!! "I was preparing an app for my own distribution, not putting it on the App Store, but the codesigning part to make Gatekeeper happy is the same." This info alone would have saved us many (frustrating) hours searching through the web, trying to find out more about "Distributing Apps outside the Mac App Store" (like Apple defines it in their documentation). 1) Prepare and upload a Max standalone app to the App store, and 2) Prepare a Max standalone app for distribution outside of the App store. 1) A few other people and I had started to write up an updated set of instructions, but never finished. It was a moving target at the time, which made it that much harder. I *have* recently gotten some of my existing app updates approved, so it *is* possible with the latest Max version (currently 7.2.3). This thread has the most updated info, scattered as it might be. Just ask questions as you go is the best I've got for you now at this point. Many thanks Dan, I really appreciate it. Is YOUR DEVELOPER NAME simply Mark Bassett in the attached screenshot? Application Loader tells me I have 678 ERROR ITMS-90276: "Missing Bundle Identifier. The Missing Bundle Identifiers are from all the .mxo files in my app. There's a lot of these, does this mean that I need to manually go in and edit the Info.plist files contained within the .mxo files and add in the bundle identifier?